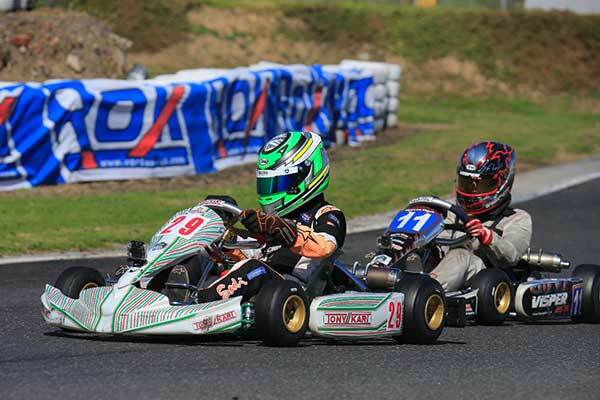 Dylan Drysdale ended up the top finishing Kiwi in the 2017 Australian Kart Championship with fifth overall in the X30 class after an up-and-down final round at the Todd Rd kart complex in Melbourne over the weekend. 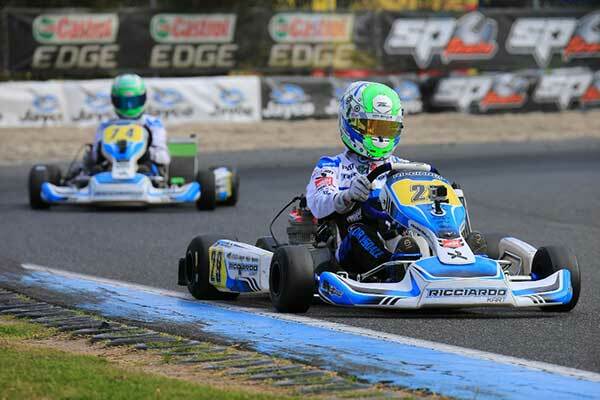 Heading into the final round of the Jayco and Castrol Edge-backed series the Auckland-based Palmerston North 19-year-old was in a position to challenge for the final podium spot (third) in X30, the premier direct drive class. Qualifying second and claiming a second place then a win on Saturday was a good start. But rain on Sunday worked against the direction in chassis set up he had chosen and 10th in the Pre-Final and ninth in the Final was only enough for fifth place in the overall class points standings. 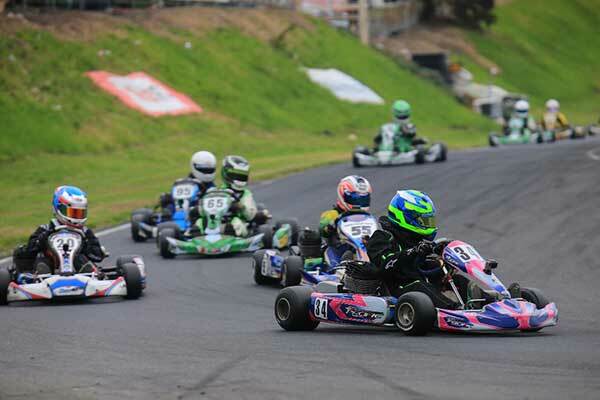 Best finish from the nine-strong Kiwi squad at the Melbourne final, meanwhile, came from 11-year-old Liam Sceats who finished fourth in the Cadet 12 Final, scoring enough points to elevate the young Aucklander to 13th in the final class series’ points standings. 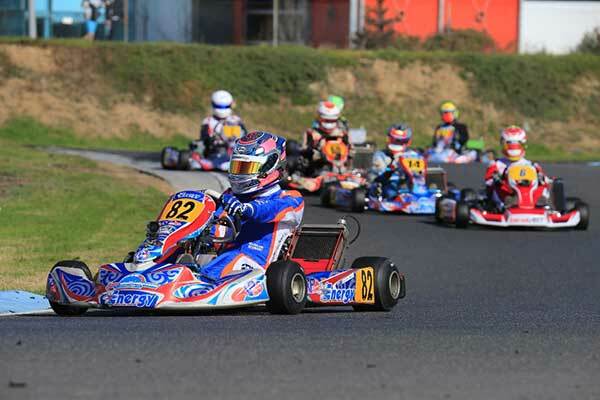 Next best in class was reigning South Island and New Zealand Cadet ROK class champion Louis Sharp from Christchurch who finished 10th in the Cadet 12 class Final. The other Kiwi Junior, Connor Davison from Hamilton had a good round topped off by an impressive drive to 12th place in the KA4 Junior class Final which elevated him to 19th overall for the series. Madeline Stewart was quick in qualifying, setting the seventh best time in the KZ2 class and the Wellington-based driver had a good run through the early heats before a slipping clutch saw her edge ahead at the start of the third heat and earn a 10 second time penalty. That put her back to 12th spot on the grid for the Final in which she worked her way up to ninth before losing places on the re-start after a full course yellow flag period. Once back up to speed she made up two of those places, however, to cross the finish line in 11th place and end up 18th in the overall championship points standings. Having moved to the X30 class from TaG125 ahead of a full season in 2018, sister Ashleigh enjoyed the racing and ended up with a best finish of 21st in the Pre-Final, making up a number of places despite starting on slicks only to have the skies open and completing the race on a streaming wet track. With the Australian Kart Championship over for another year the focus of the Kiwi karters crossing the Tasman this season now turns to the final round of the 2017 Australian Rotax Pro Tour which takes place at the Albury-Wodonga track near the VIC/NSW border over the September 16-17 weekend. Also, this coming weekend Dylan Drysdale and Daniel Bray will contest this year’s CIK-FIA International KZ2 Super Cup meeting at Wackersdorf in Germany for Italy’s GP Karts team.